This morning I called my mother. She wasn’t feeling well. She thought her heart “acted up” again last night. When that happens, she feels tired and not quite with it the next day. I’m thankful she’s doing as well as she is. As our conversation continued, I told her my mother-in-law fell over the weekend. She, too, was okay … stiff and sore, but nothing broken … another blessing. Then, I told my mother that one of my former classmates passed away last week suddenly. I was so very sad to hear about it. Mother was as well. “Mom, did you hear me? Funny how she heard all that bad news without any problem isn’t it? I promise I didn’t talk any louder. She just couldn’t quite comprehend what I said. Isn’t that how people are though? We hear all the bad news, all the negative comments, and all the meaningless dribble. But when someone mentions the Good News of Jesus Christ, something goes amiss. Our hearing suddenly deafens. Our batteries die. A bird sits on the phone wire. We simply fail to comprehend the significance of the message. I told Mother Jesus is coming soon, because she wanted some good news. I couldn’t thing of anything better than that. I shared our conversation with you, because I thought you needed to hear some good news too. How about you? With whom can you share the Good News today? 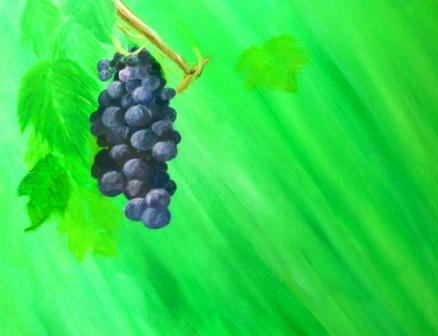 This is the first of three posts pertaining to my art class in which we talk about The Vine, The Branch, and The Fruit. Jesus is the vine that produces life within us. I don’t know much about gardening let alone vineyards. But I do know you can take a healthy branch and graft it into a healthy vine. The branch adheres to the vine, grows, and produces fruit through the life-giving nutrients within the vine. The branch in and of itself withers and dies fruitless. If it rejects the vine’s nourishment, it withers and dies. Therefore, the fruitfulness of the branch depends on its connection to the vine. Through the process of grafting, farmers develop hybrid fruits and vegetables. One example of this is the tomato we use today. I didn’t know a couple hundred years ago tomatoes grew in clusters much like grapes. But through grafting, farmers developed the much larger single fruit that we now enjoy. Similarly, Jesus has taken the unrighteous—you and me—and grafted us into Himself. He supplies us with spiritual nourishment and expects us to bear fruit. If we reject Him even though our fruit appears good to the human eye, it is rotten to the core and useless to the Husbandman (the Father, John 15:1). Only through our connection with Jesus will our fruit please the Father and serve His purposes. On His way to the cross, Jesus demonstrated the Father’s love and offered gifts along the way—gifts that keep on giving like forgiveness. 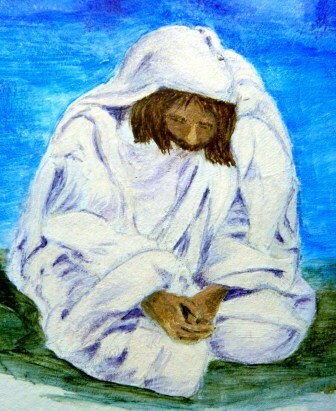 Affirming her gratitude for forgiveness, a sinful woman washed Jesus’ feet with her tears and dried them with her hair. She also anointed Jesus’ feet with expensive perfume. Although her actions disturbed those present, they pleased Jesus. He said she had prepared Him for His burial and her deed would be told as a memorial to her for all time. Jesus gave the gift of forgiveness to us as well. We affirm our gratitude by forgiving others. It’s a gift that keeps on giving like the gift of obedience. Obedience isn’t always easy, especially when it seems to lead to a difficult situation. When Jesus entered Jerusalem, He knew the road lead to His crucifixion. But He marched into the city with victory on His shoulders in obedience to the Father. Obedience is a gift that keeps on giving like the gift of authority. Jesus exhibited His authority over sin and injustice the day He cleansed the temple. He also verified His authority over death a week later. He gave the gift of authority to His disciples and sent them out to spread the word of His appearing and to cast out demons. In turn, that gift has been passed down to every believer. Authority is a gift that keeps on giving like the gift of prayer. Through prayer, Jesus knew and carried out the Father’s will. The Messiah encouraged His followers to pray often, especially on the night of His arrest. Jesus knew His fate. He needed time with the Father. 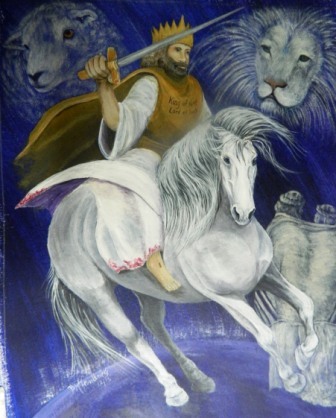 He knew the fate of His disciples and their need for strength as the horrific events took place. He gave them the gift of prayer to help sustain them. And He offers the gift of prayer to each of us. Prayer is a gift that keeps on giving like the gift of surrender. Surrender often implies defeat. But Jesus showed us it denotes love and can lead to victory. 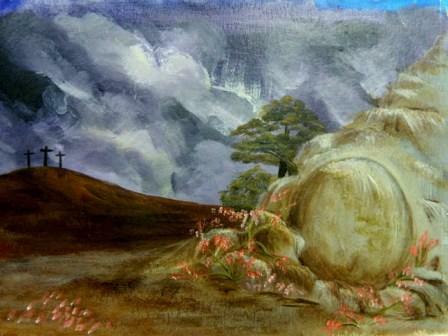 Had He not surrendered to the Roman soldiers that night in the Garden of Gethsemane, the prophecies concerning Him would not have been fulfilled. Jesus’ surrender was His greatest act of love. He had told His disciples that no man would take His life. Rather He laid down His life willingly in obedience to the Father who had given Jesus the authority to take it up again. Jesus also said, “Greater love has no man than this: to lay down his life for a friend.” He called His followers His friends and gave us the ultimate gift of love—His life. Love is a gift that keeps giving. How about you? How can you offer the gift of love to someone today? Tomorrow, we’ll look at the gift of defeat. Prepare by reading and meditating on John 11:1-14. Jesus became God’s gift of grace and the gift that keeps on giving. Although He never sinned, Jesus submitted to John the Baptist to be baptized. In doing so, Jesus identified with sinners and demonstrated complete surrender to the Father. 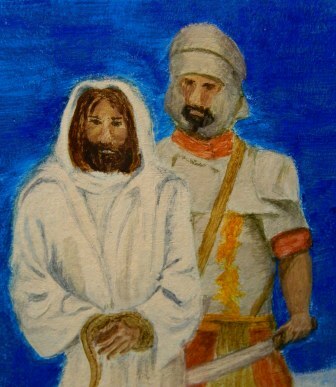 Jesus showed compassion to the multitudes of sick, blind, deaf, and disabled people who constantly flogged Him. He turned no one away. He never rushed past someone in need. He took time to speak to them, to encourage them, and to meet their deepest needs—needs of the spirit as well as the body. Jesus’ presence is God’s gift to each of us. Many get caught up in the wrappings—His glorious birth, the miracles, signs, and wonders He performed, the ideal of living a life full of peace, joy, and love. And God’s gift of grace through Jesus is all of that and more. But His presence brings with it His holiness, which cannot tolerate sin. Therefore, we stand convicted. Our guilt pushes the gift away. Instead of immersing ourselves in it, we hide from it unwilling to open the package in its entirety. Let’s not return the gift unopened this year. Let’s unwrap it and experience the true miracle of Christmas—God’s grace, mercy, and love through Jesus Christ. How about you? Have you opened God’s gift of grace?